MS35-P01 Negative compressibility of a metal-organic framework? Szymon Sobczak	(Department of Materials Chemistry, Poznań, Poland)	Andrzej Katrusiak	(Department of Materials Chemistry, Adam Mickiewicz University, Poznań, Poland)email: szymon.sobczak@amu.edu.plFundamental thermodynamics requires that all materials reduce their volume at high pressure. Owing to specific anisotropic features, originating from various structural motifs, some compounds can elongate in one or two directions, which is termed as negative linear and area compressibility.1 The volume compression restriction applies to constant composition materials (i.e. closed systems). It was evidenced that zeolites and other porous materials can uptake the guest molecules from gaseous and liquid surrounding, which can increase the crystal volume despite the increasing pressure.2 These are so called open systems. In those high-pressure experiments, various simple molecular fluids (water, methanol, ethanol, etc.) and their mixtures were used. 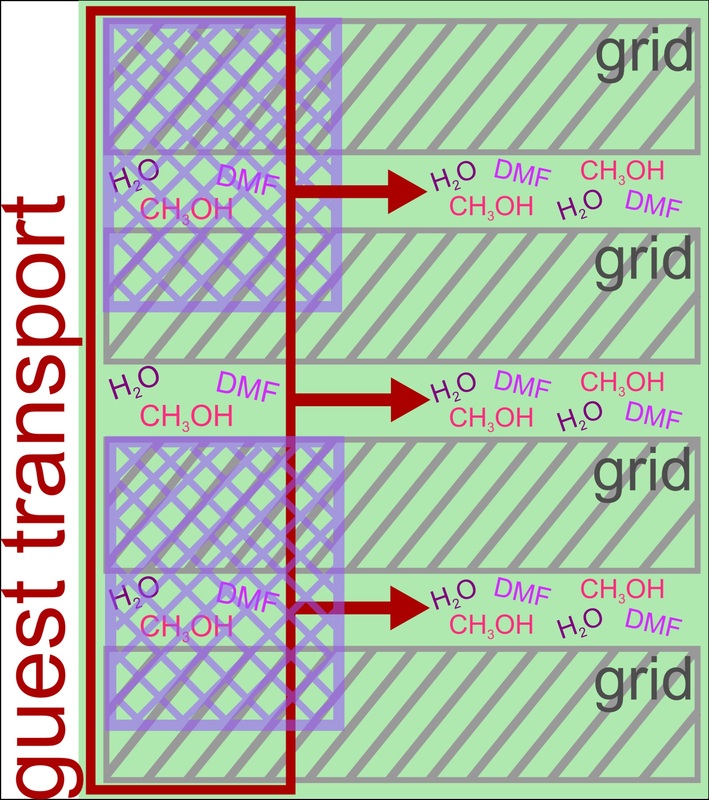 The transport of guest molecules can be eliminated by compressing the sample in liquids composed of molecules much larger than the dimensions of pores, for example in oils. Cairns, A. B. & Goodwin, A. L. (2015). Phys. Chem. Chem. Phys. 17, 20449–20465. Coudert, F. X. (2015). Chem. Mater. 27, 1905–1916. Sobczak, S. & Katrusiak, A. (2018). Cryst. Growth Des. 18, 1082–1089.